Shopping for a new Audi Q7? Audi’s Virtual Cockpit is useful and intuitive, but it does require an extra-cost data charge to take full advantage of its Google Earth maps. The 2018 Audi Q7 is a three-row, large luxury crossover. It’s loaded with features and technology and is easily one of the brand’s most impressive products, and that’s saying something. If that’s all right with you, you’ll find a lot to like in Audi’s three-row crossover, which is available with two engines and a choice of Premium, Premium Plus, and Prestige trim levels. For 2018, little is changed aside from a proximity key being made standard on all and a Bose audio system now included with the Premium Plus trim. 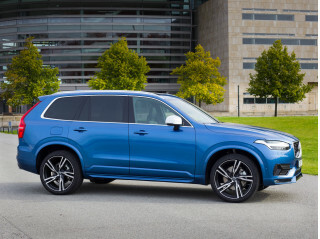 A 2.0-liter turbo-4 is standard on the Q7 Premium and Premium Plus; a supercharged 3.0-liter V-6 is optional on those models and standard on the Prestige. All models feature an 8-speed automatic transmission that shuttles power to all four wheels via Audi’s Quattro all-wheel-drive system. An air suspension and four-wheel steering are optional on the Prestige trim level, but even the base Q7 rides and handles well. Its steering is light and direct—not enough to give it a genuinely sporty feel, however. Instead, as a passenger hauler, the Q7 mostly excels. Its front and second-row seats are supportive and comfortable with excellent room for taller passengers. Row three is predictably tight, but no more so than its rivals. There’s limited room behind an erected third row for cargo, but folding those occasional-use seats reveals a flat, wide luggage area. At $50,875, the Q7 Premium is well-equipped with leather upholstery, heated front seats, and wood inlays. Watch the options closely, however, as a loaded Q7 Prestige runs about $90,000. The sweet spot seems to be a Q7 Premium Plus with the brand’s extra-cost Virtual Cockpit, a configurable high-resolution screen that replaces the conventional gauge cluster. In tandem with the navigation system, the Virtual Cockpit can display crystal clear Google Earth satellite maps. The Audi Q7 is a stunner inside with its exceptional cabin. The 2018 Audi Q7 hardly deviates from the German brand’s consistent style. Its exterior is clean and well proportioned, if a little unexciting. Inside, however, things are far more dramatic and they’re finished in gorgeous textures. Outside, the Q7 is pleasantly light on overwrought design details. A choice of wheel designs in sizes from 18 to 20 inches fill its big wheel wells nicely. LED headlights are optional on Premium Plus models and standard on the Prestige trim level and they flank a wide, large grille. From the side, the Q7 looks more like a tall wagon than some of its boxier rivals, while the crossover’s tail end is notable mainly for its clamshell-like tailgate. The cargo bay isn’t as wide as the tailgate may lead you to believe. A range of leather upholstery color choices and wood finishes inside mean that there’s ample opportunity to customize your Q7. Unlike most of its competitors, all Q7s are swathed in genuine hides and their glossy trim was harvested from forests, which imparts an upmarket look even at the entry level. A wonderful ride quality, accurate steering, and a strong V-6 make the Q7 a terrific road trip car. With its extensive use of aluminum, the 2018 Audi Q7 weighs just 5,000 pounds—less than it looks. We wish we could say the same about ourselves. That imparts an agile, responsive feel backed up by a strong optional V-6 engine and a sublimely tuned suspension. A 2.0-liter turbo-4 is standard on Q7 Premium and Premium Plus models. 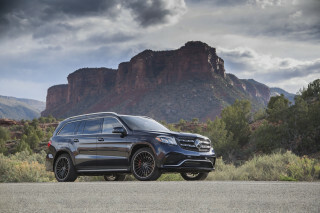 It’s rated at 252 horsepower and 273 pound-feet of torque, enough to move it from a stop to 60 mph in just 7.1 seconds. The power delivery of the turbo-4 in the Q7 isn’t as refined or as smooth as that of the supercharged V-6. Off the line, in most situations, it takes a second for boost to build, then you’re off and into the power. Passing power is more than adequate, but make sure you’re already in the boost, otherwise plan for the transmission to drop two or three gears. The transmission wants to upshift for fuel economy, but this takes you into the low revs and out of the boost, lugging the engine along. If you demand or need power for passing other other maneuvers, it’ll have to downshift quite a bit more often than it does with the bigger engine. For an extra $6,500, a 3.0-liter supercharged V-6 rated at 333 hp and 325 lb-ft of torque is on the options list (it’s standard on the Prestige). The V-6 endows this big crossover with serious chops—a 5.7-second 0-60 mph sprint, for instance. The V-6 is strong under any circumstance, even with a full load of passengers and their gear aboard. Both engines mate to an 8-speed automatic transmission that, at least in the V-6, fires off rapid shifts with minimal hesitation. Audi’s Quattro all-wheel-drive system is standard, a boon in wet and slippery conditions. But even with the height-adjustable air suspension that’s optional on the Q7 Prestige, this crossover isn’t meant for much more than a snowy road on the way to a ski resort. The standard suspension fitted to Premium and Premium Plus Q7s almost makes the air suspension not worth the cost and complexity. It’s wonderfully tuned to absorb choppy pavement, but it’s not floaty in corners. The Q7’s steering is light on feel and heft, but the crossover corners well with a planted, confident feel even on a curvy road. At the press of a button, Audi’s Drive Select system modifies throttle response, shift points, and steering effort—and, on air suspension models, it tightens or softens up the suspension. 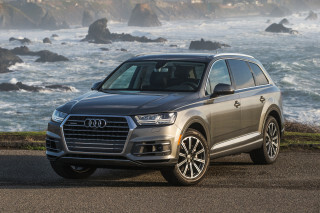 It doesn’t turn the Q7 into a sports car, but it does significantly alter its personality. The optional 19- and 20-inch wheels may have less sidewall than the Q7’s standard 18s, but they don’t hurt its ride quality. Excellent room for five, an upscale feel, and a roomy cargo bay are offset by a tight third row. As a five-seater, the 2018 Audi Q7 excels. Load up the entire family and it’s not quite as impressive, but even those squeezed into row three are treated to a beautiful interior and a refined feel. Know what you’re getting into with the Q7’s third row and you’ll probably find it more than adequate, however. 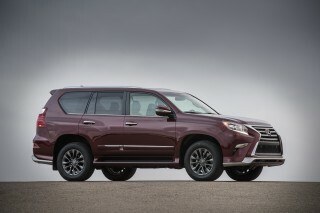 That third row is acceptable for kids or even smaller adults in a pinch, but minivans and larger crossovers, and SUVs predictably have more stretch-out room for more than five passengers. At least all Q7s come with a power-folding third row, which stows away to create a mostly flat load floor. The prime seats are up front, of course, where the base leather seats on most Q7s are comfy, supportive, and highly adjustable. The comfort seats available on the Q7 Prestige’s luxury package are, as their name suggests, even more plush—and they boast a massaging feature in addition to their upgraded hides. Row two has good room for three adults to sit abreast and higher-spec models are available with four-zone automatic climate control. Regardless of seat, every passenger faces nice plastics, glossy or matte-finish genuine wood trim, and good storage for small items and beverages. The Q7 isn’t cheap, but it feels worth every bit of its asking price. The 2018 Audi Q7 has done well in crash tests and comes standard with collision-avoidance features. The 2018 Audi Q7 comes well-equipped with safety gear and advanced features that help keep the family safe. Opting for additional safety systems is never a bad idea, but the IIHS returned mixed scores. 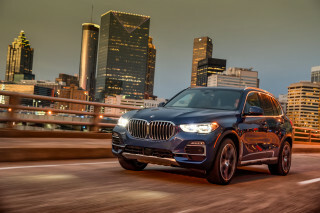 Federal officials rated the Q7 with five stars overall, including four-star scores in front and rollover crash protection. 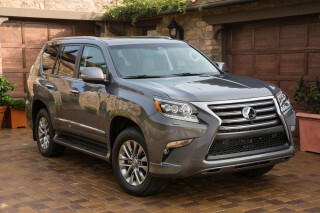 Those scores are usual for big SUVs, but some do better. All Q7s come with a full complement of airbags and stability control, plus all-wheel drive as standard. Rear side airbags are optional on all models. In terms of collision-avoiding tech, the Q7 comes standard with a low-speed automatic emergency braking system called “Pre Sense City” that can apply the brakes on its own and bring the crossover to a halt if it detects an impending collision at speeds lower than 52 mph. A full-speed system called “Pre Sense Front” is optional on Premium Plus and Prestige models, where it is bundled in the Driver Assistance Package with automatic high-beam headlights, adaptive cruise control with stop-and-go, and traffic sign recognition that displays pertinent road information in the instrument cluster. The IIHS rates the base system marginally higher than the optional system, likely due to small differences in the calculation. A rearview camera is standard on all, while a surround-view camera system is paired with LED headlights and a screen that replaces the instrument cluster in the Vision Package on Premium Plus and Prestige models. A loaded Audi Q7 might as well have a Bentley badge on it. Even the entry-level 2018 Audi Q7 Premium wants for little, but a generous walk through this crossover’s optional equipment list turns it into a decadent luxury crossover. At $50,875, including a $975 destination charge, the Q7 Premium comes standard with leather upholstery, a rearview camera, automatic windshield wipers, power front seats, a panoramic moonroof, and a power-folding third row. For 2018, Audi has made keyless ignition standard on all models. A 7.0-inch infotainment screen comes on the Premium, but navigation and Apple CarPlay require ponying up $3,000 for the MMI Navigation Plus Package. Otherwise, the Q7 Premium’s only major package bundles heated rear seats with a heated steering wheel. Q7s with the MMI Navigation Plus Package are also among the very first cars that can communicate directly with urban infrastructure. In select cities, the Q7 receives data like when a signal will change from red to green from traffic nerve centers. For now, this tech’s usefulness is limited, but vehicle-to-infrastructure communication is a big step on the road to self-driving cars. The Q7 Premium Plus runs $54,875 and brings with it the navigation package, a power-adjustable steering column, Bose speakers, and LED interior lights. 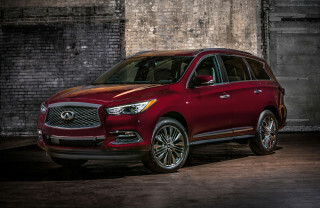 It’s also available with far more optional equipment, including the Driver Assistance Package with automatic emergency braking and adaptive cruise control, and the Vision Package that bundles LED headlights with a surround-view camera system and the Digital Cockpit system. Digital Cockpit is Audi-speak for a high-resolution, 12.3-inch LCD screen that replaces analog gauges. It can be configured to show anything from basic gauges to a stunning Google Earth satellite map, which requires ponying up for a monthly data plan. Ventilated front seats, four-zone automatic climate control, and upsized wheels are among the Premium Plus’ additional options. Both the Premium and Premium Plus come standard with the 2.0-liter 4-cylinder; the V-6 runs a hefty $6,500 more. At the top of the lineup sits the V-6-only Prestige at $66,375. 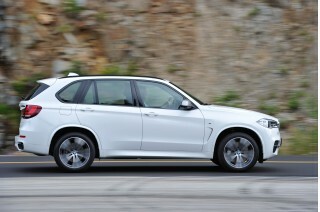 It adds to the Premium Plus larger alloy wheels, automatic door closers, and the Vision Package. Prestige models are exclusively available with a Luxury Package that includes upgraded leather, ventilated front seats with a massaging function, and an Alcantara synthetic suede headliner. 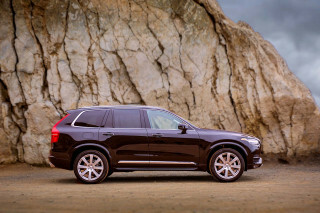 An extra-cost air suspension grouped with four-wheel steering is also exclusive to the Prestige. All in, a loaded up Q7 Prestige is around $90,000. That’s big money, but this crossover certainly pampers at that level. For what it is, the Audi Q7 isn't all that thirsty. 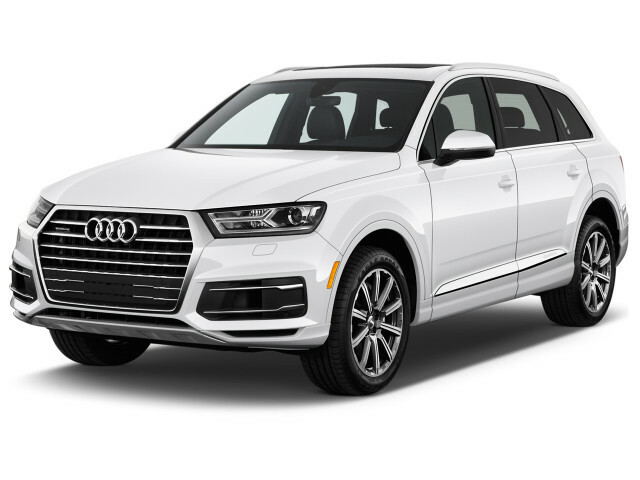 The 2018 Audi Q7 offers decent fuel economy given its size and weight, but you won’t save much at the pump by opting for the base turbo-4 engine. 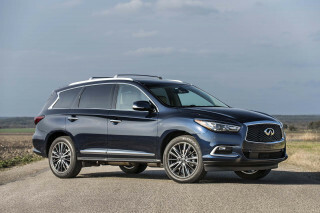 The base 2.0-liter turbo-4 is rated identically to the V-6, which may be a head-scratcher for most folks. Both engines require premium fuel and both feature a start/stop system that cuts out the engine at traffic lights to reduce emissions while idling.